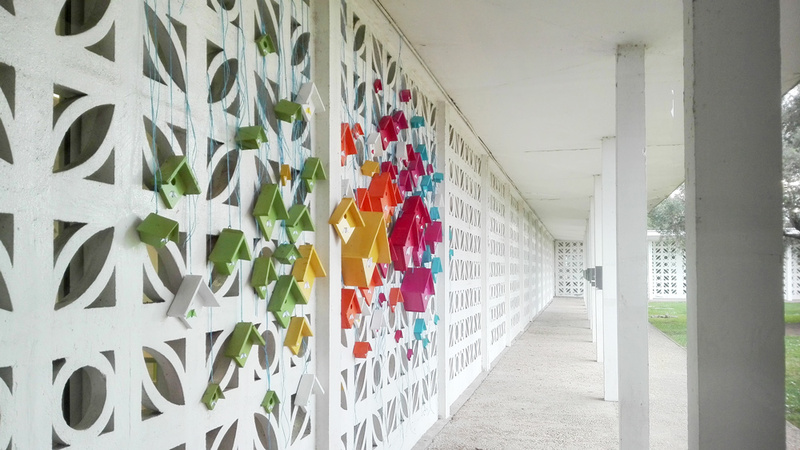 – Two-week residency project organized by the DRAC at the LEGTA high school in Nîmes. 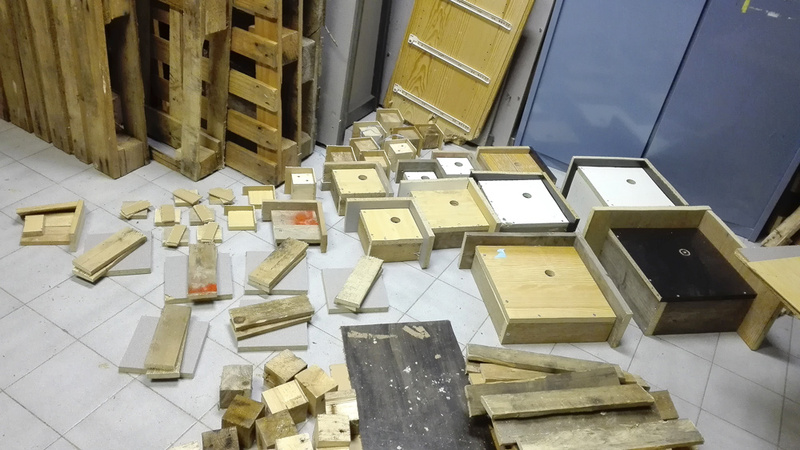 – At the initiative of Raphael Mangavel. 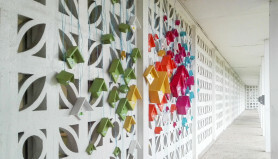 – Before installation, Mademoiselle Maurice met some of the high school students and then presented her work in class (Second Pro, Bac Pro and Bac Techno). 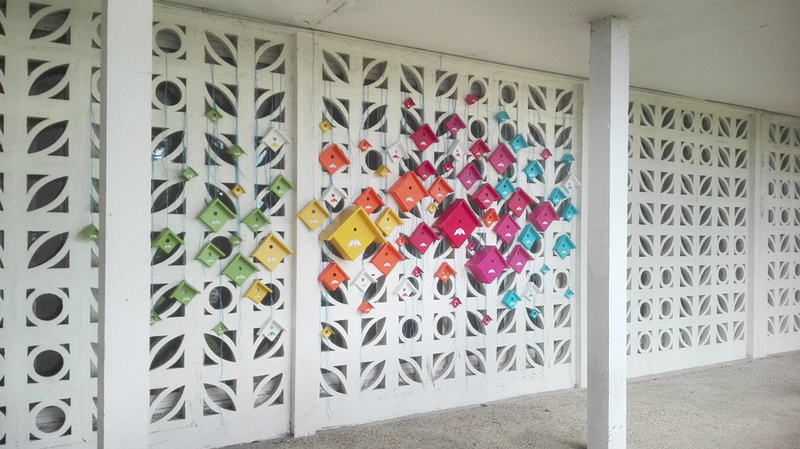 – For this residency: the artist wanted to make a link between his usual creations and the theme of the school, a work on the link between art practice and practice related to the land. 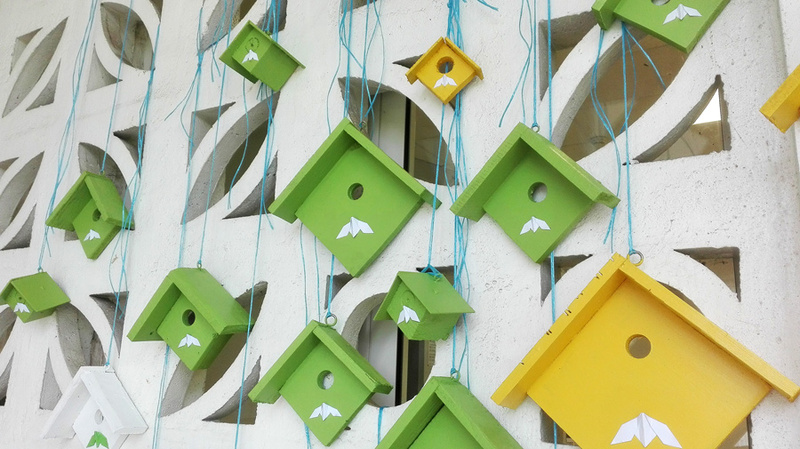 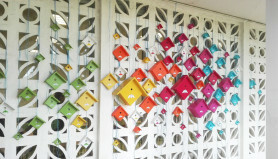 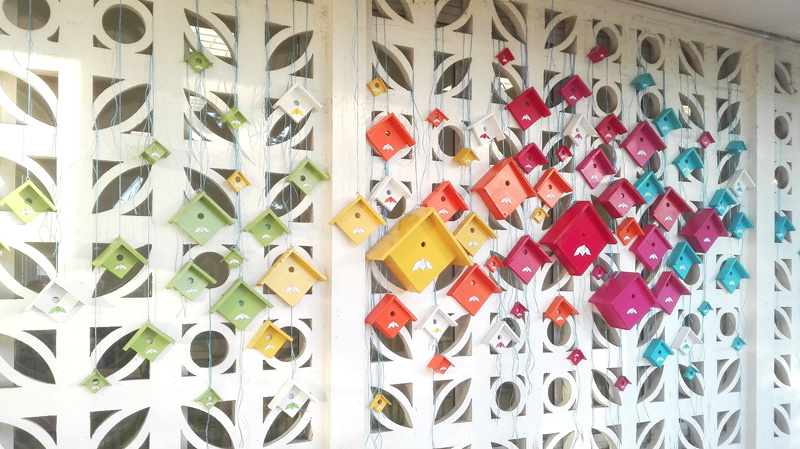 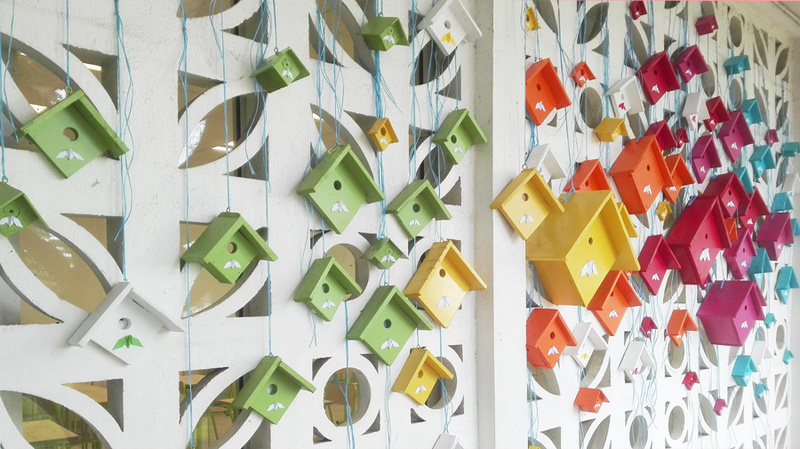 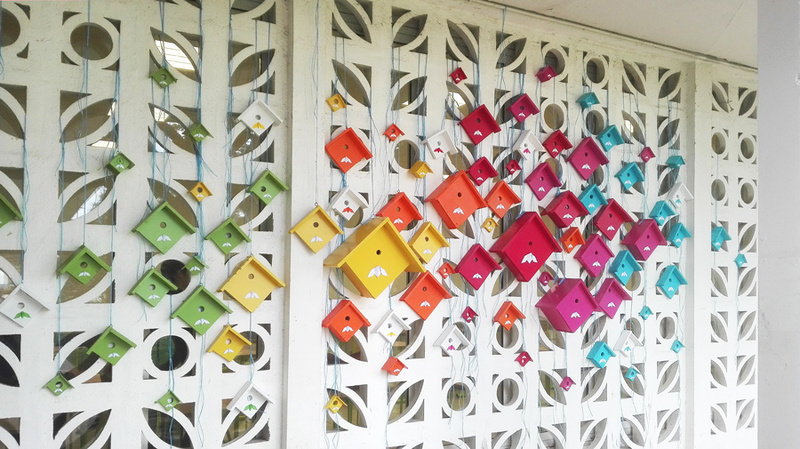 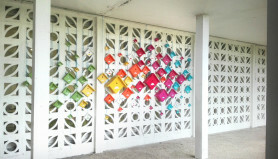 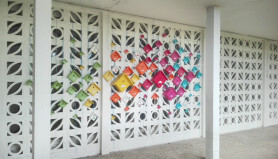 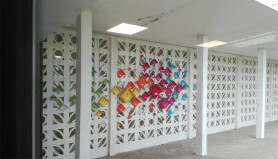 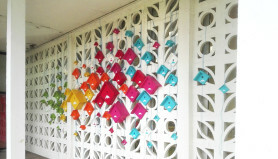 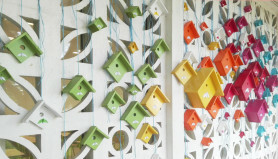 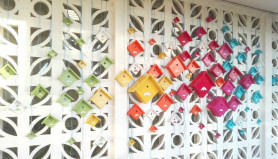 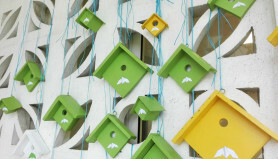 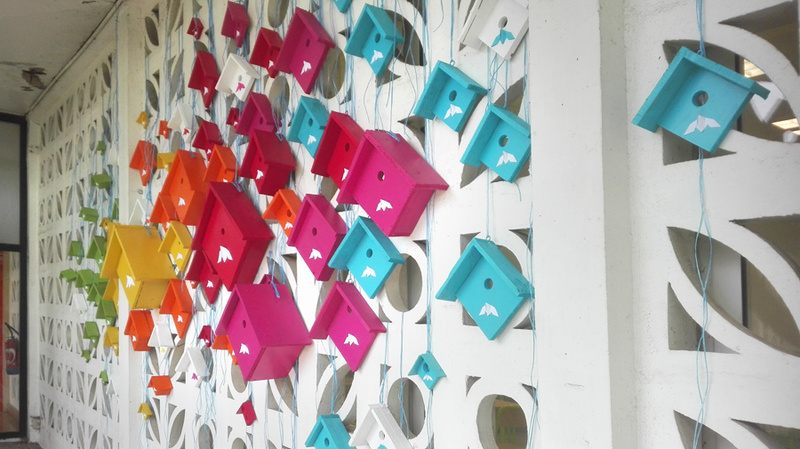 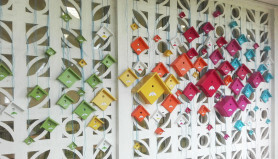 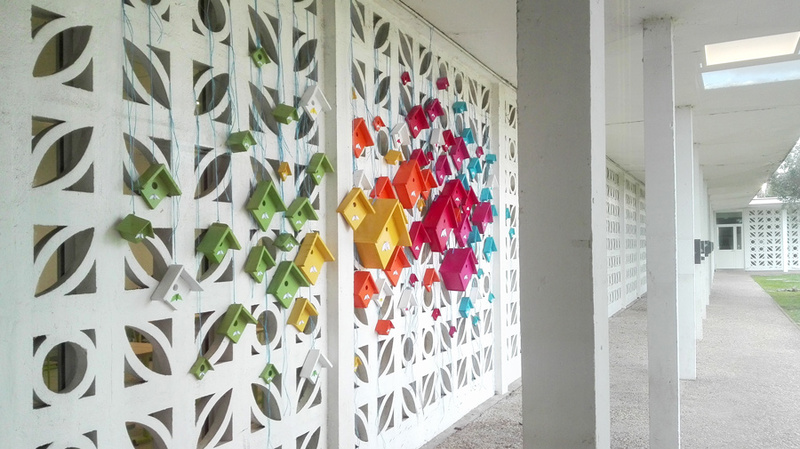 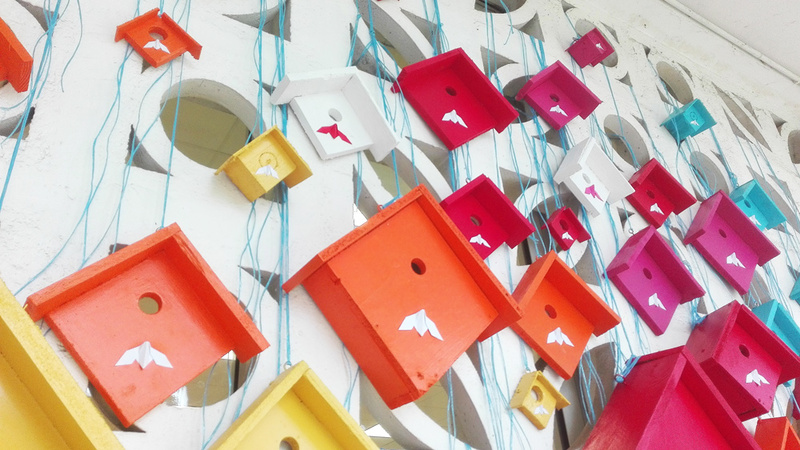 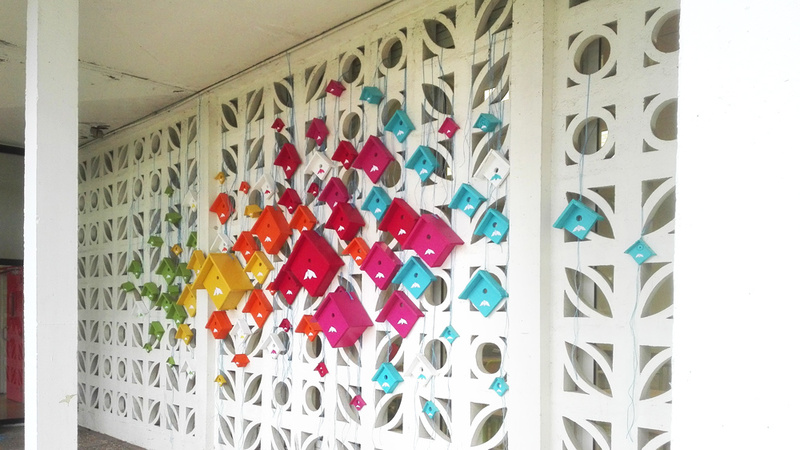 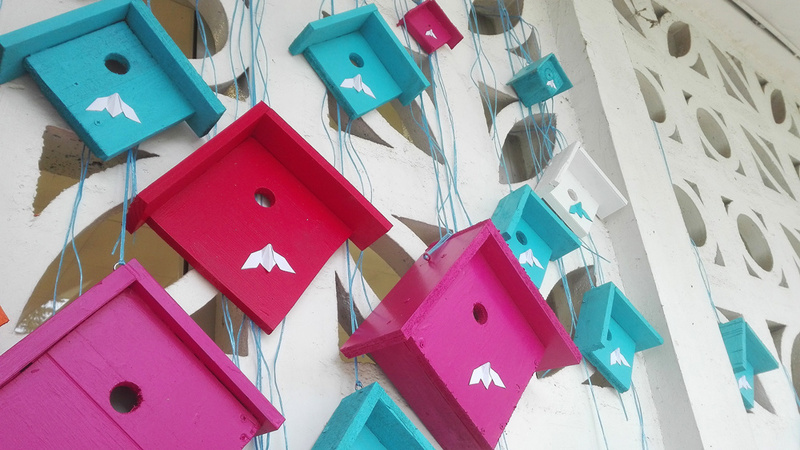 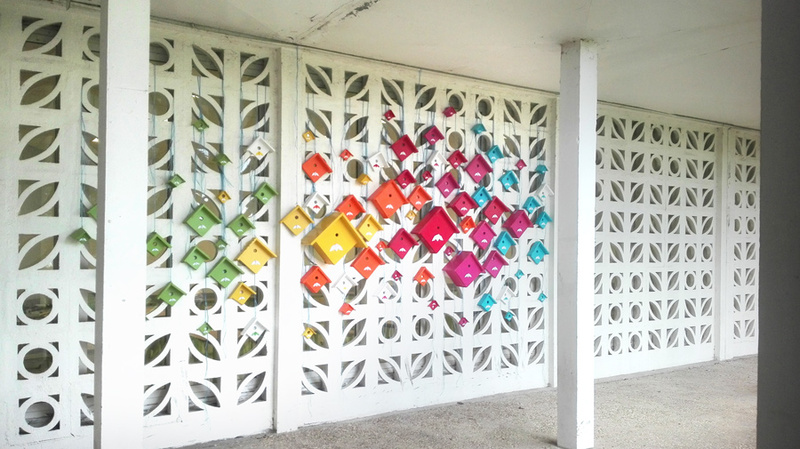 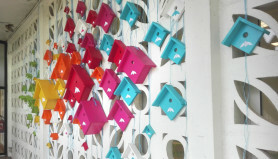 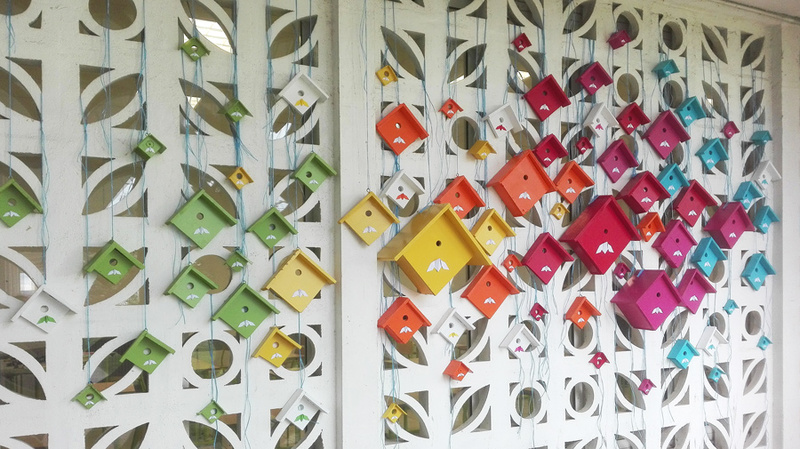 – These birdhouses were made from recycled materials (collected in the dumpster). 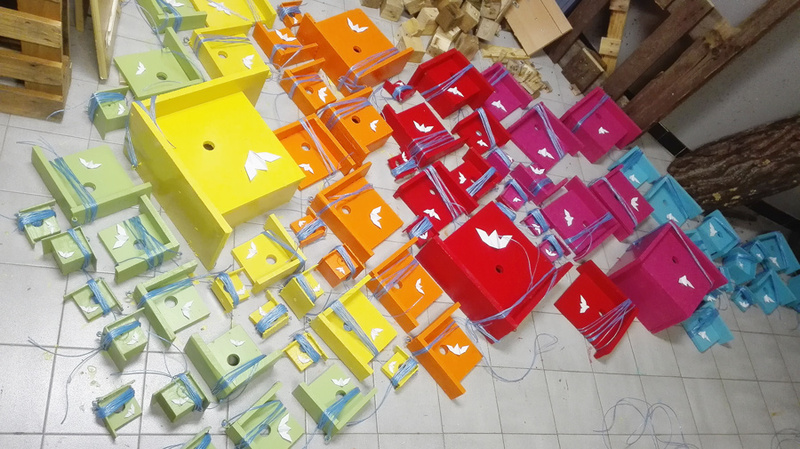 They were made by jigsaw and hole saw, then assembled and painted. 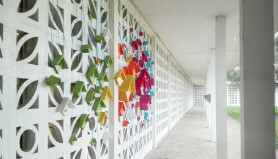 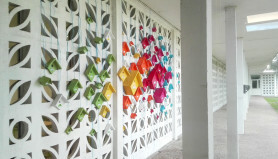 The installation tends to dialogue with the existing architecture, imagined by Joseph Massota architecture. 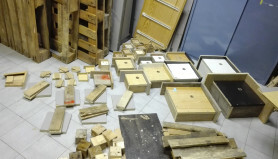 – Thanks to Raphael and all the team of the establishment as well as the DRAC!